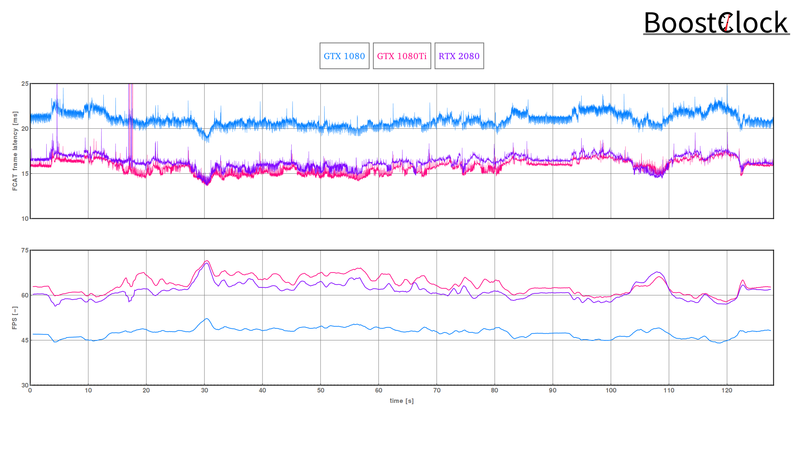 NVIDIA's new Turing architecture powering the RTX GPUs features many forward looking tech and hardware stages, but many of these new advancements are not used in traditional raster workloads, especially in older games. 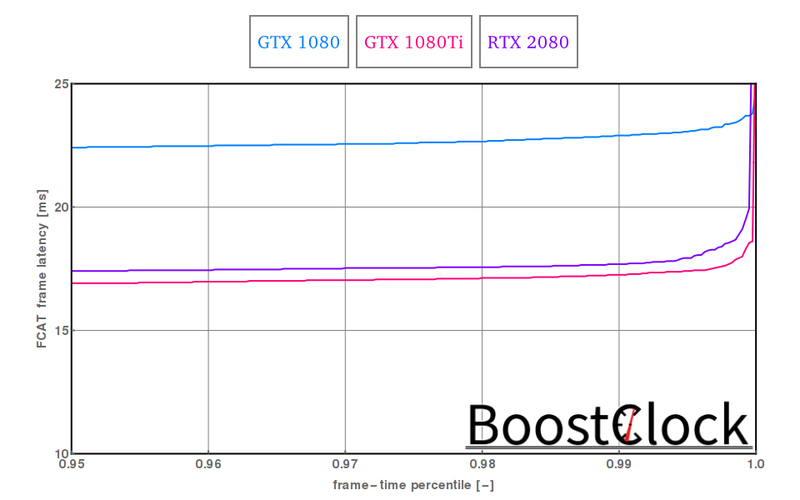 To test the new RTX 2080 against the top-end Pascal chips in "legacy" gaming, we go for a horse ride in the city of Novigrad in Witcher 3. This benchmark sequence is considered to be still one of the best tests out there for any gaming builds, as it features a stunning, living and breathing medieval city with numerous NPCs. 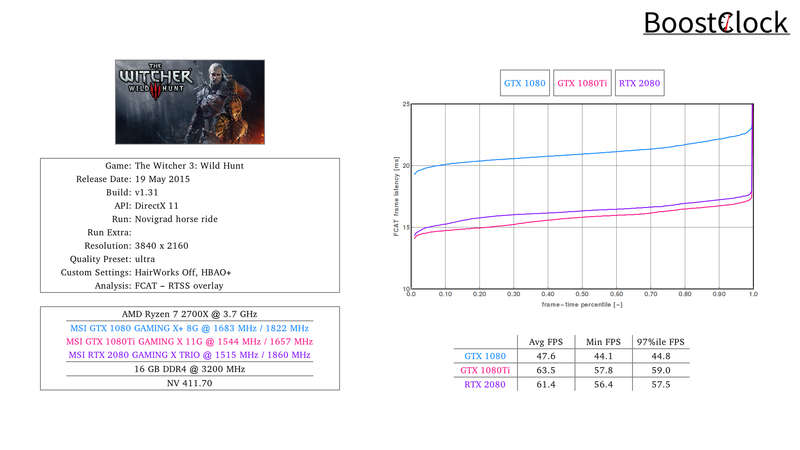 With the resolution cranked up to 4K with HBAO+ but no HairWorks, the GTX 1080 Ti came out on top in The Witcher 3: Wild Hunt.